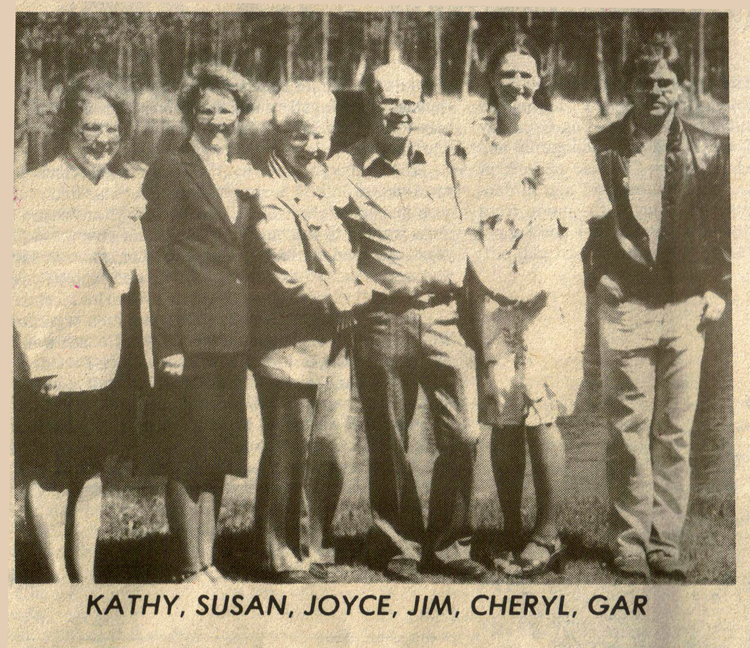 In 1957, Jim and Joyce Bourrie and their 3 daughters, Kathy, Susan and Cheryl moved to Grayling from Cadillac, Michigan. 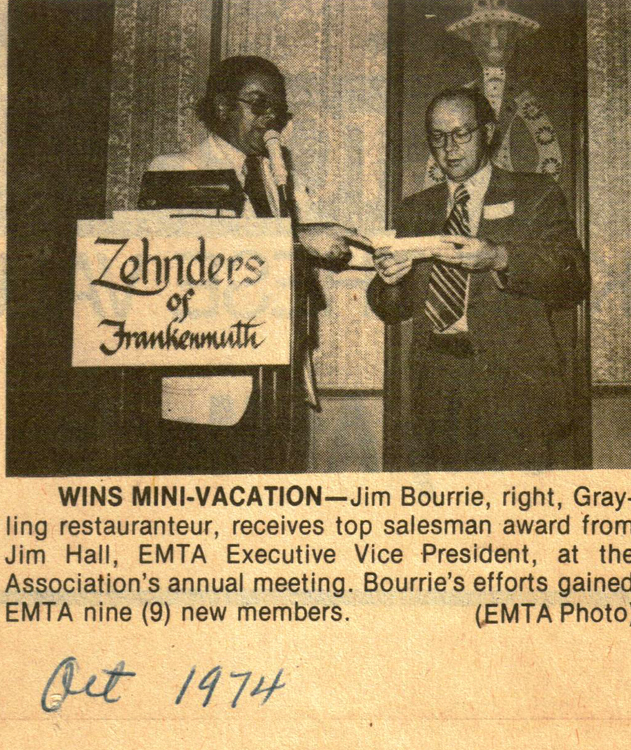 Jim was manager at the B & C Supermarket, (now McLeans Promart). Shortly after locating in Grayling, their son, Garfield was born, the last baby born in the old Mercy Hospital on December 5, 1957. In 1958, Jim went to work for Stevenson and Brown, selling cars and then moved on to selling meat on theroad for Plath’s Sanitary Market. 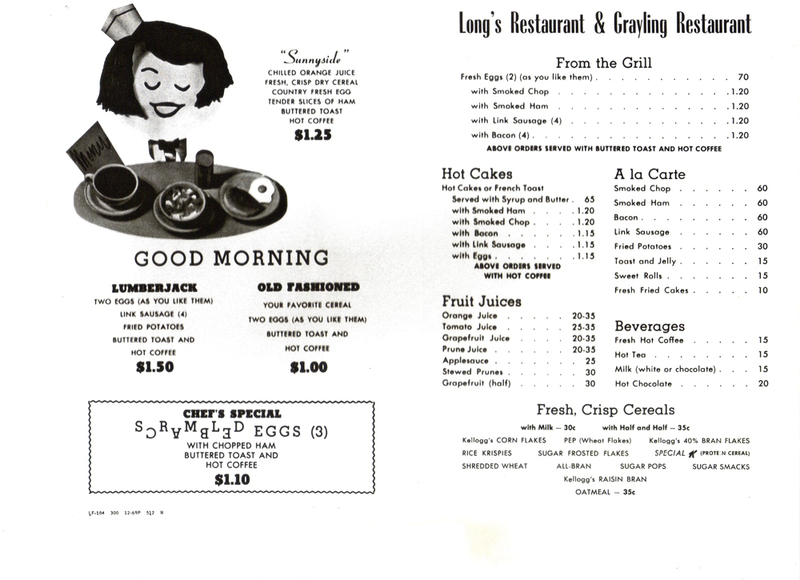 In 1966, he purchased Long’s Restaurant, which Joyce managed for 4 years. 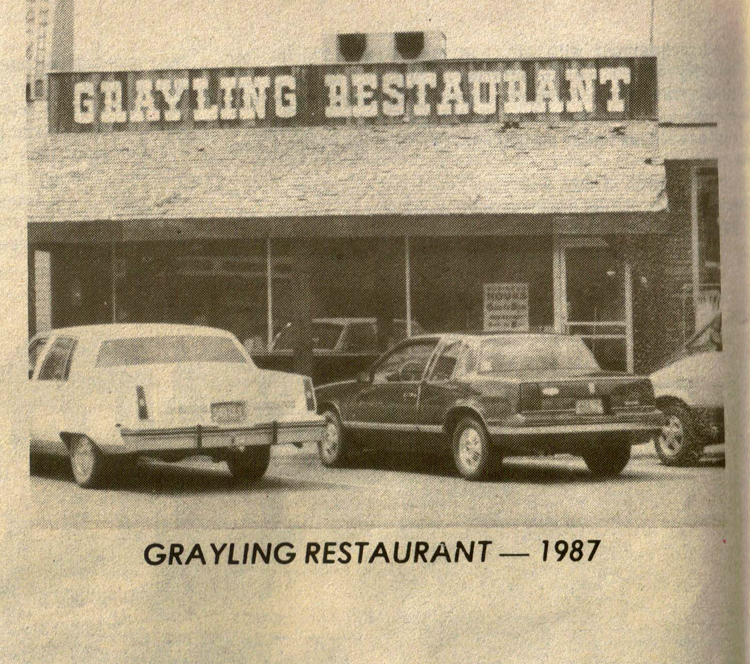 In January, 1970, Jim and Joyce bought the Grayling Restaurant. 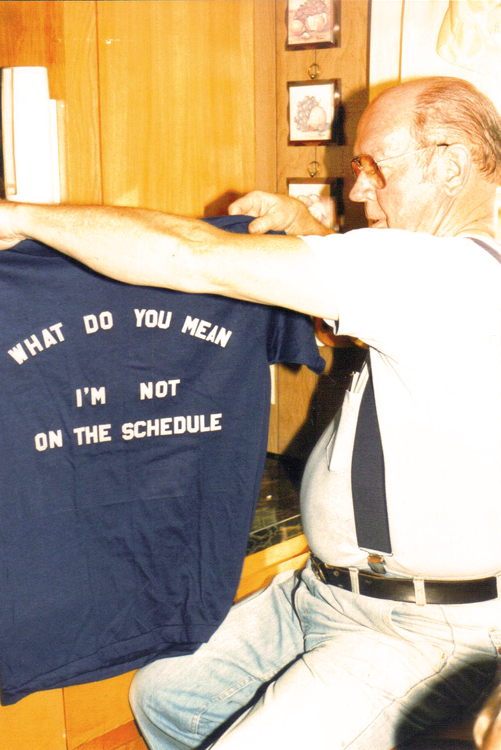 Jim worked both restaurants and maintained his full-time job for one year. In 1971, he began devoting his full energies to both restaurants and serving the people of Grayling. 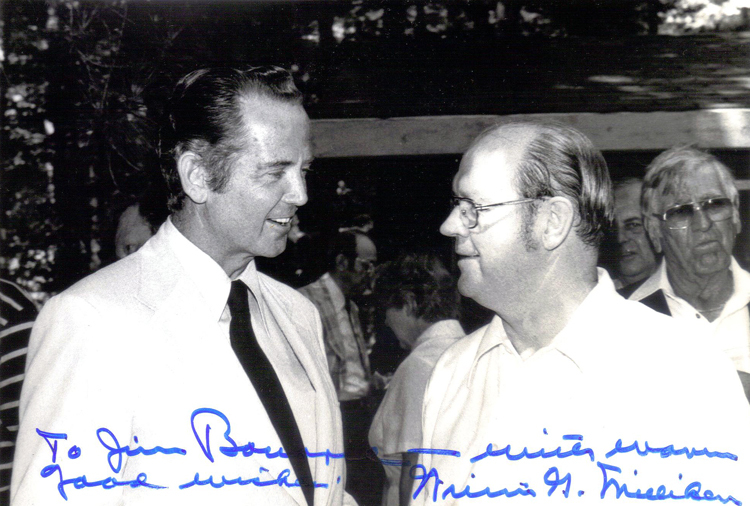 In 1973, he closed Long’s Restaurant. All four children worked at both restaurants while growing up. Currently, Cheryl (Bourrie) Millikin manages the morning shift, while Garfield manages the evening shift. 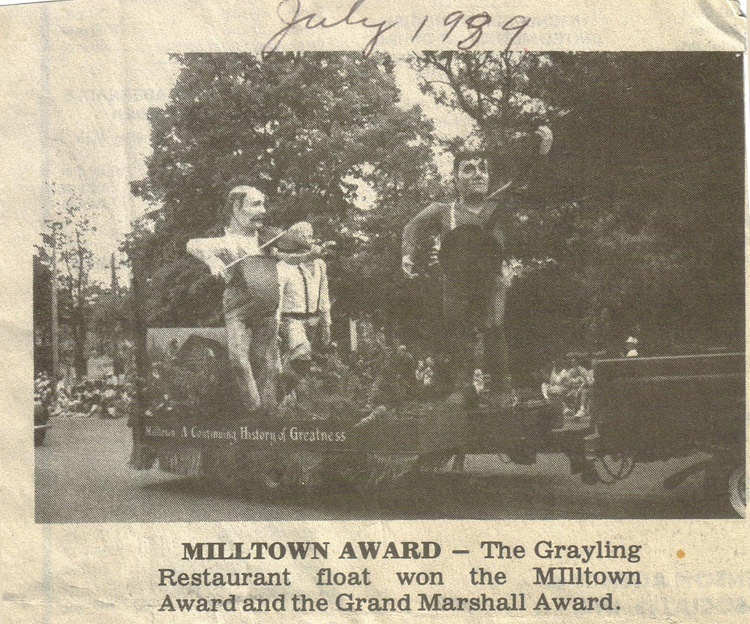 There are seven grandchildren to hopefully carry on the tradition. 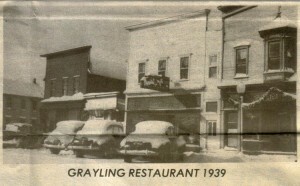 The Grayling Restaurant presently employs 19 persons. 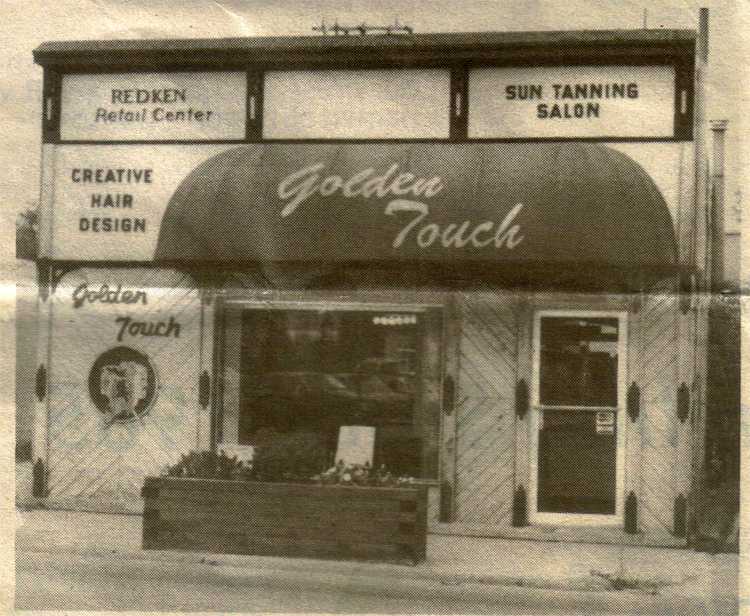 On January 13, 1975, the empty building of Long’s Restaurant became the Golden Touch Beauty Salon, owned and operated by their daughter, Susan (Bourrie) McCurdy. 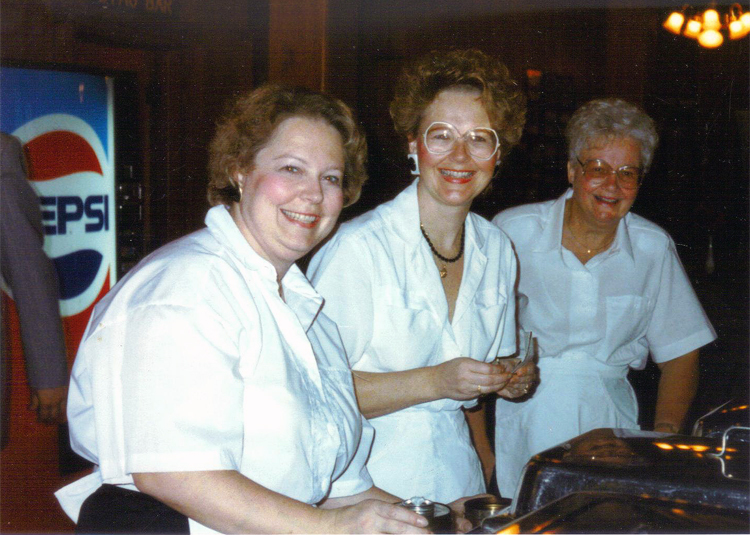 Susan dressed hair alone until the spring of 1975, when she hired her first employee. Employment at the salon has grown to 7 full-time employees. On April 1, 1977, Kathleen (Bourrie) Ashton and husband, Greg, purchased the Gasland Service Station, which they operated for 2 1/2 years before selling to its present owner. 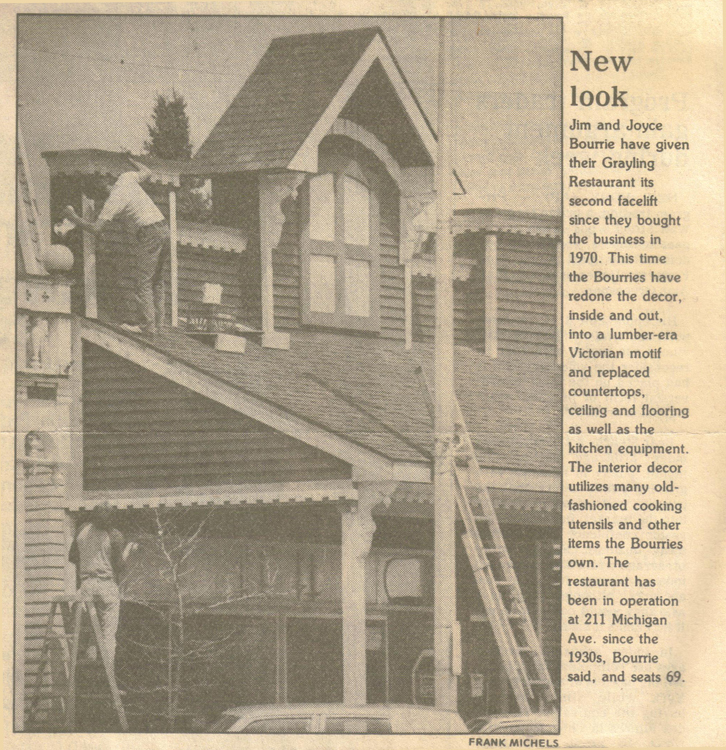 In May 1980 they purchased interest in Spike’s Keg O’Nails, which Kathy currently operates along with her full-time job atNorth Michigan Land & Oil Corporation. Over the years, the menu has increased from just Spikeburgers to include salads, Gyros, tacos and a variety of sandwiches and munchies. 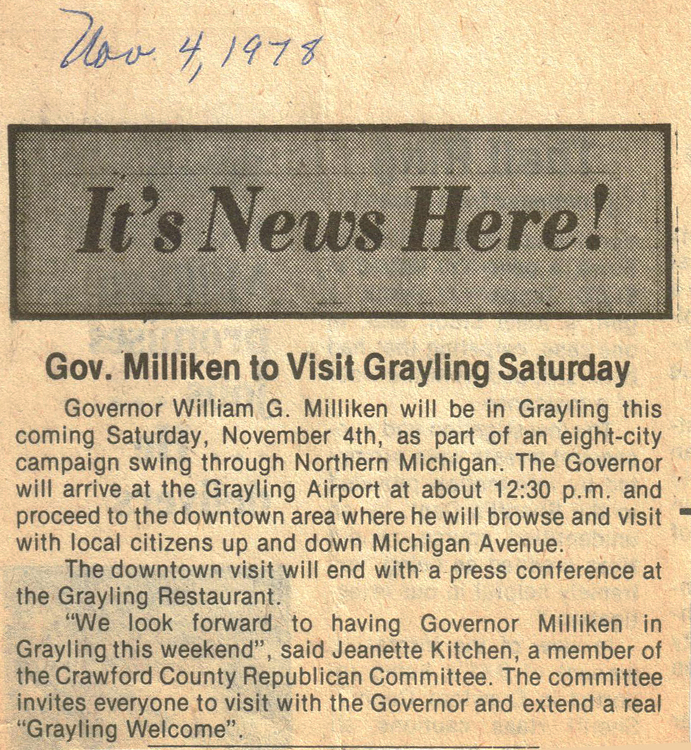 During this time, Kathy also served as President of the Grayling Regional Chamber of Commerce from 1984-1985. Spike’s employment has grown from 4 to the present 13 full-time employees. On March 29, 1984, Bob and Susan McCurdy purchased the Montgomery Ward franchise and then the old Yardstick building to house the franchise. Also, at this time, they purchased the Western Union agency, which they currently still operate. The Montgomery Ward corporate office closed all of its Wards catalog stores in November, 1985. 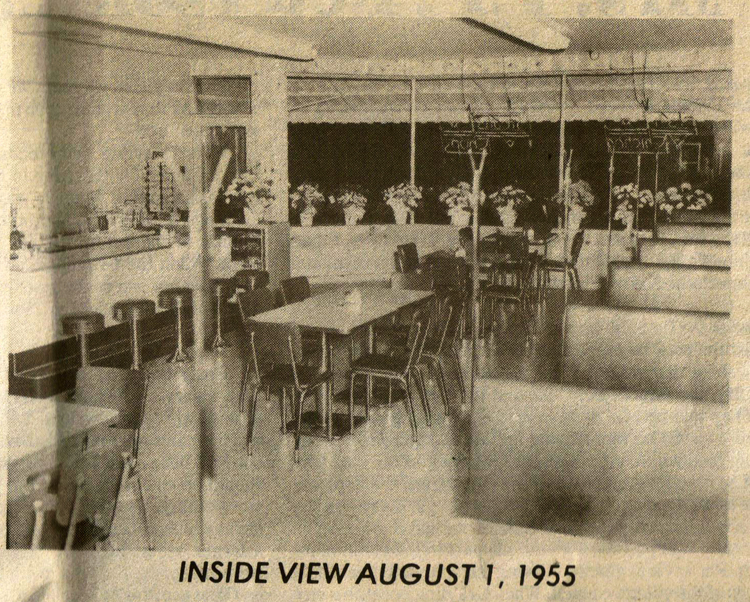 In January, 1986, the McCurdy’s purchased Truman’s T.V. Repair and began operations under Grayling Electronic and Television Repair. 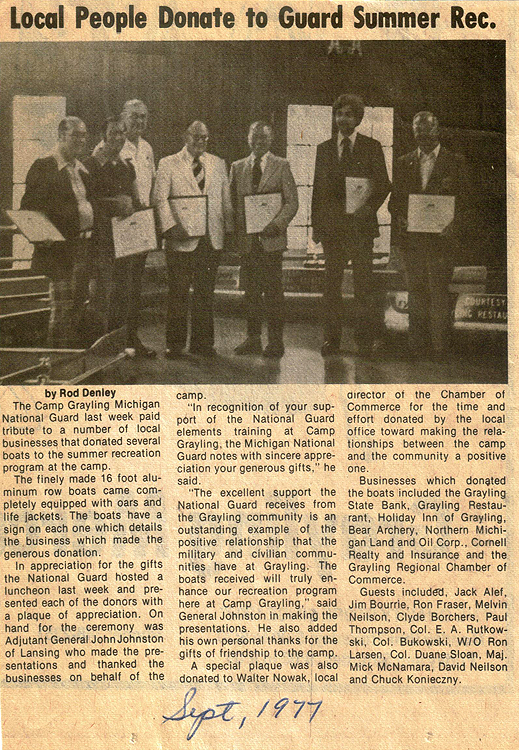 In February, 1986, they also began operating the AuSable Appliance Center housed in the same building. 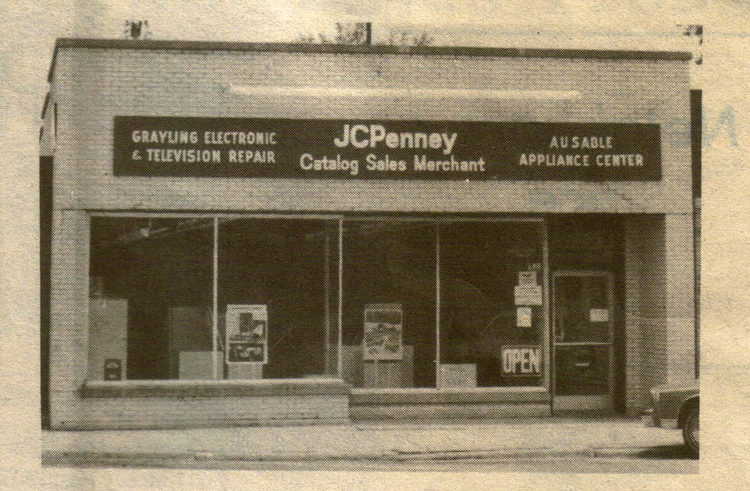 On April 14, 1986, they were one of the few lucky people in the nation chosen to operate a J.C. Penney Catalog Merchant Center, under a new program developed by J.C, Penney Corporation. All four businesses located in the building compliment each other and currently employ 4 full-time persons. On Sunday, September 30th, 2012, Grayling Restaurant closed it’s doors and was placed up for sale. On Wednesday, May 1st at 6:00 am, the doors reopened. Bridget Harland, manager of Spikes Keg of Nails for many years and husband Jim has joined with her brother Scott VanLuchene and sister-in-law Kathy to open what many believe to be an anchor business for the downtown area. “We are really excited to bring back what we believe to be one of the most known eateries in the area. 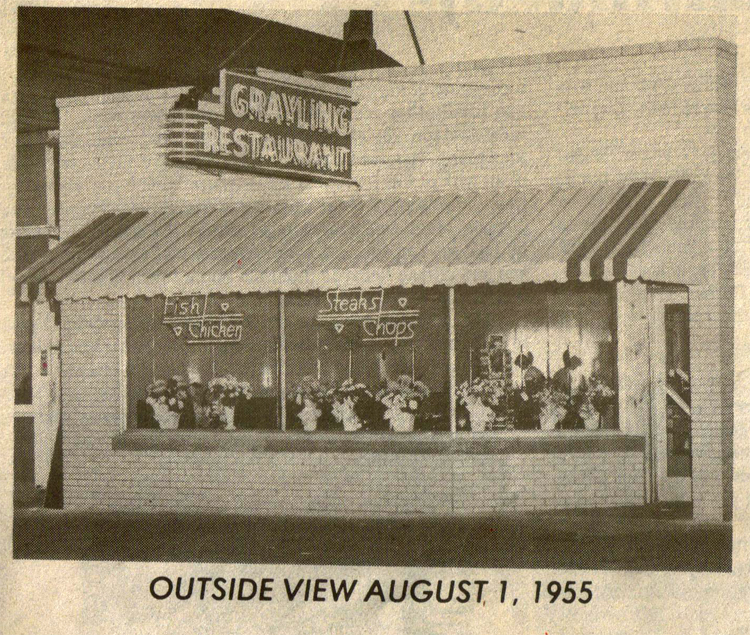 I will be the day-to-day manager and we have been able to bring back several of the past employees to help make this the Grayling Restaurant that everyone remembers” stated Bridget. Their new hours are from 6:00 AM to 3:00 PM. 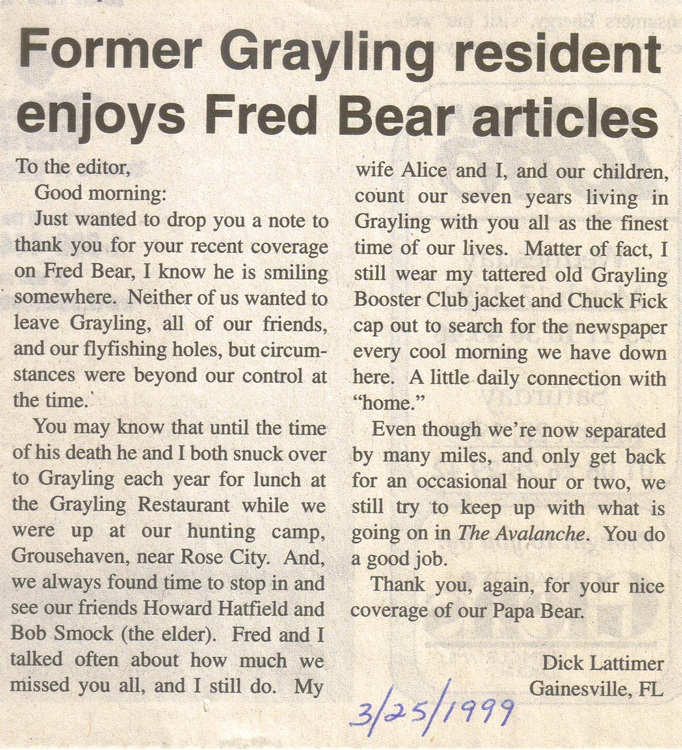 Newspaper clippings appeared in the Crawford County Avalanche.